Bred and selected by East Malling Research, Vibrant is a superb quality, heavy cropping early variety. 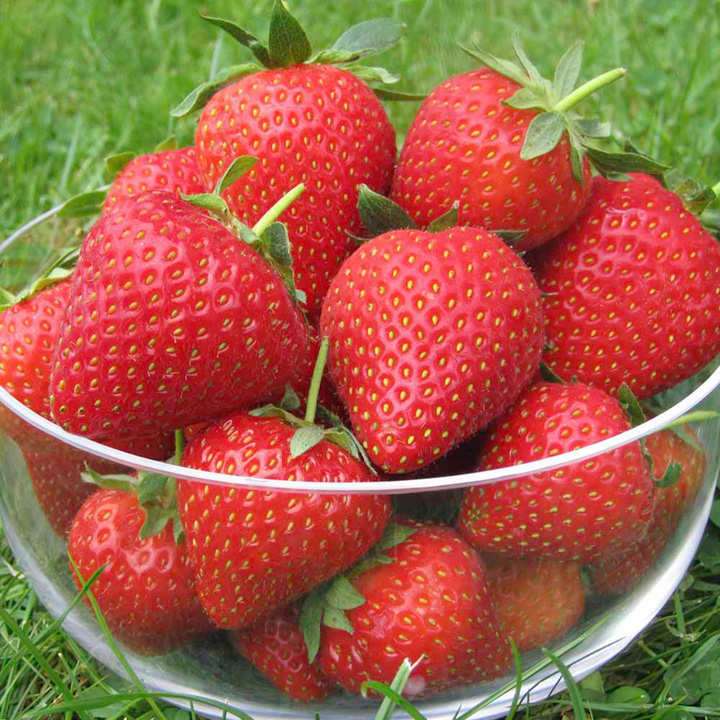 It has rapidly become established as the premier early variety and has brought forward the English strawberry season by ten days! Plant from November-June in all soil types including acid soil. Hight resistance to disease. Hardy to -10°. Note: At despatch time, plants will be partially dormant and some may have very little foliage. Once planted they are ready to grow away vigorously in spring. 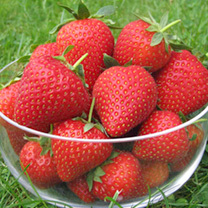 Plant strawberries 45cm (18") apart with 75cm (2½’) between each row. Choose a sunny, sheltered spot and dig in plenty of well-rotted manure or compost. Ideal for beds and borders, patio pots and containers, hanging baskets. Grows well in sun or shade.